Library: Tr. Nancy asked students about their projects. Students checked out books from the library. Gym: Students played People to People. They were divided into groups and they took turns to kick the ball to each other. Math: We practiced making up addition stories page 98. 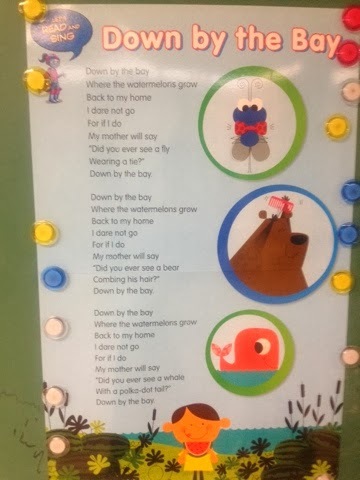 Home Connection: Ask your child to tell you the story and read the number sentences. Ask: " Can you think of another number story for 10?" Science: Students presented their projects.They did a great job masha'Allah! Students sat on the carpet and we talked about the projects that were presented today. Students presenting their projects tomorrow are: Maya, Hana, Mohamed, Mehran, Mariam E, and Alima. Practice the song for tomorrow please. Please sign your child's spelling quiz and send it with your child to school tomorrow. Please send the canvas, yogurt containers, clear cd case and skin colour pantyhose to school with your child. Please send the rubric in homework pack # 9 with your child to school when it is your child's turn to present his/her project. Send the Milk Program form if you would like your child to participate.